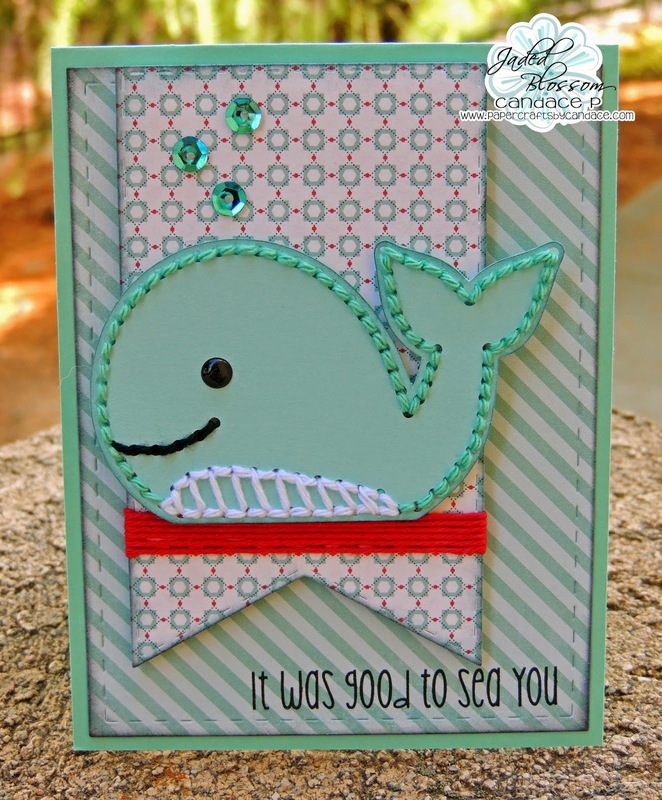 I LOVE LOVE the stitch up files from SVG Cutting Files and I LOVE whales so I had to have a Whale Stitch Up right? 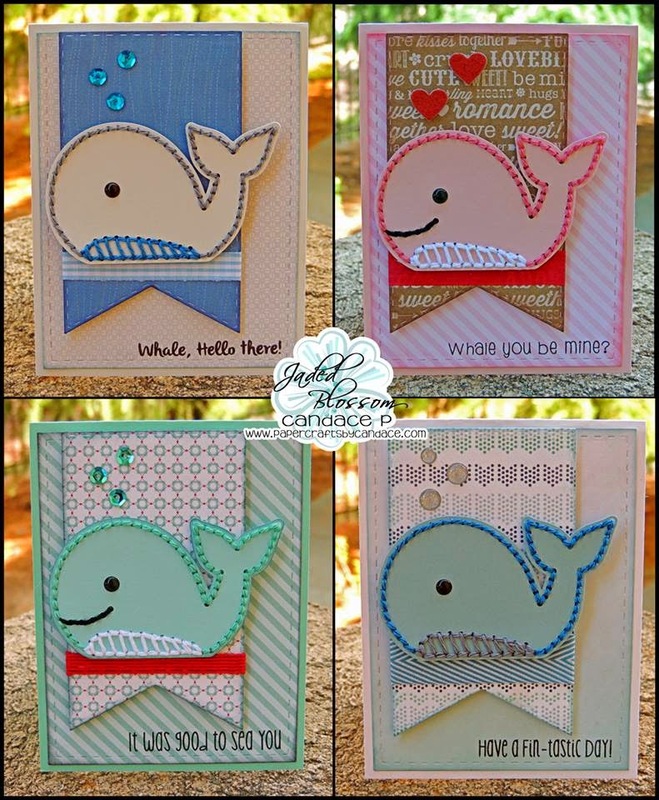 I actually made 4 different cards with the same whale! I used Twinery Twine for all the solid colors. And here is a close up of them all individually. I removed the smile on two of the cards for a different look. 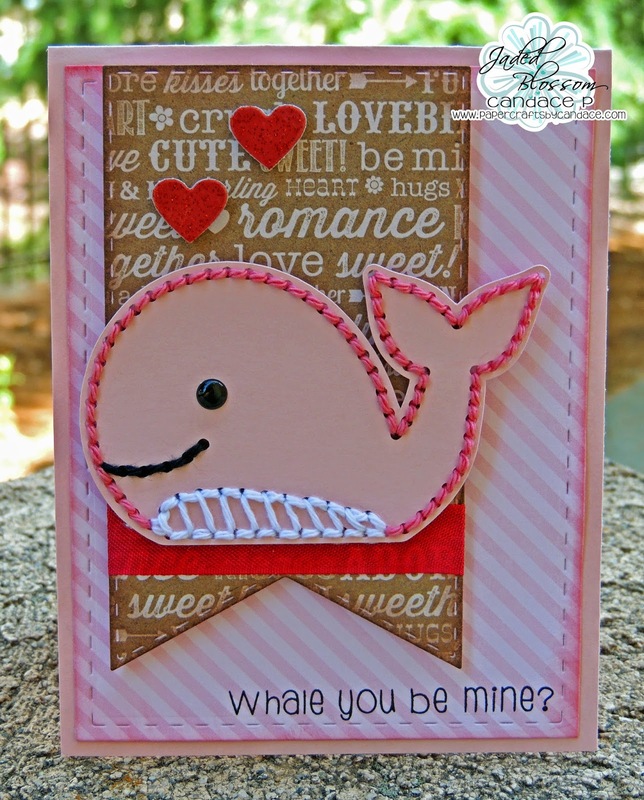 And a Valentine / Love themed one :) I used Rumple Ribbon from Lovebug Creations under the whale on this one. 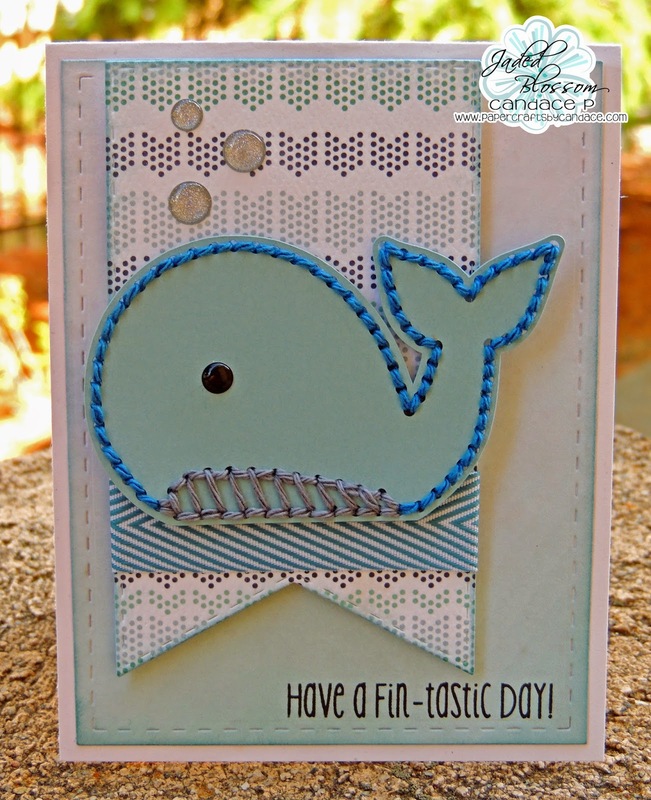 Thanks so much for checking out my cards today! Head over to Jaded Blossom to see what the rest of the team created!! Holy crap! Can you stop already?? These are so freaking cute!!! You always make the best card sets! I love them! 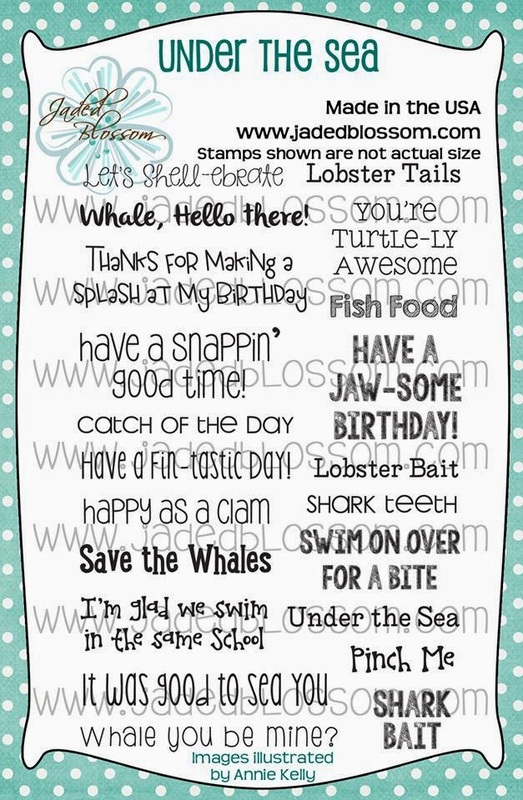 These cards are way too cute! These are just FABULOUS! 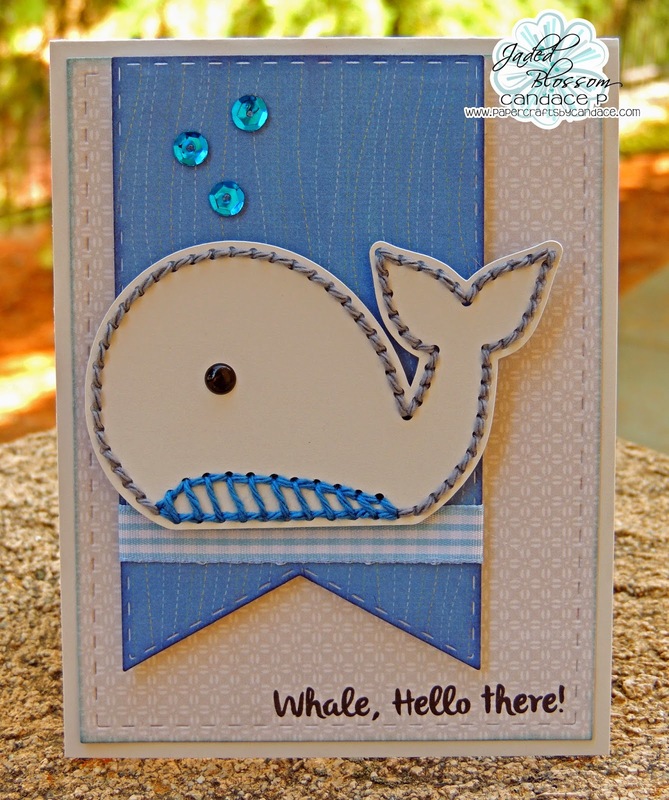 The stitching is amazing and I love how you used the Wine Tag Die! Looks Amazing, Love all the colors you used. grrrr these are sooooooooooo stinking cute 1!! !